The narcotics are a family of medicines used in general anaesthesia. They can be administered intravenously or in gas form. 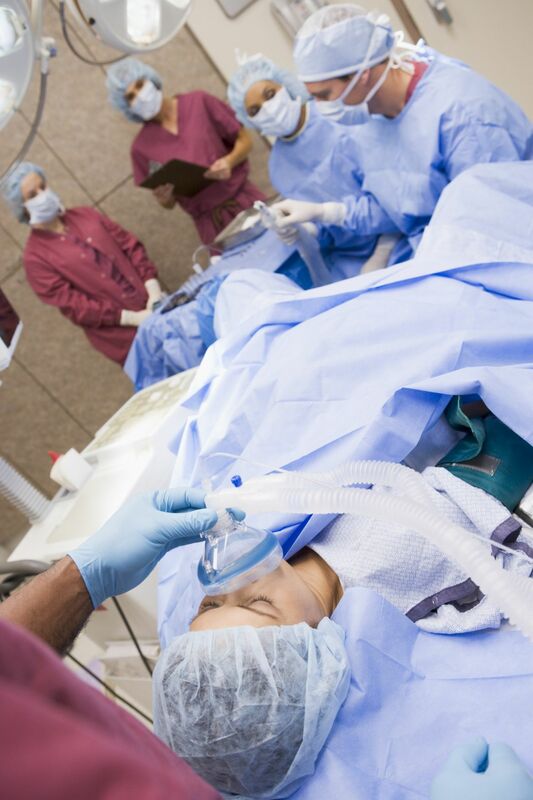 They are used by anaesthetists and intensive care physicians. How do the narcotics work? The narcotics act on the blood-brain barrier This is an anatomical barrier which filters and controls the transfer of substances contained in blood. It therefore prevents them from passing into the extracellular environment of the central nervous system, the CNS. The leading group of substances "blocked" in this way are bacteria and toxins. The specific mechanism of action of the narcotics is not known. On the other hand, they certainly put the patient to sleep. They cannot therefore be used without a morphine type pain relieving anaesthetic, in order for procedures to be completely painless. Their role is therefore more to immobilise the patient. The side effects of the narcotics are drowsiness and respiratory depression.